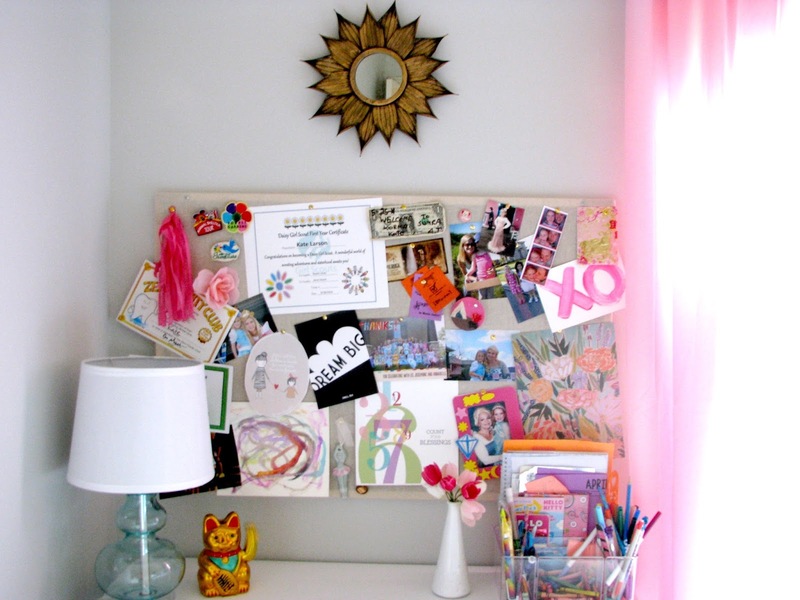 We decided to incorporate a small desk in the corner of her room (see sources at end of post). 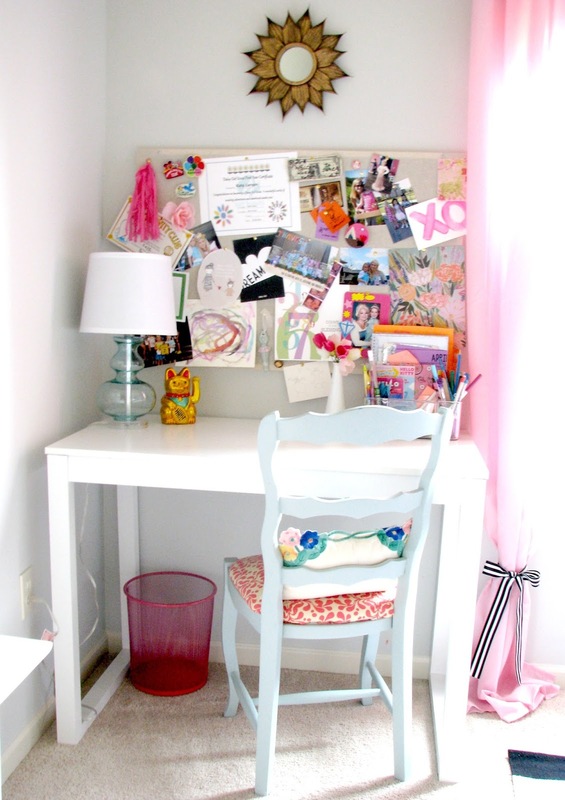 She loves to write notes, and color and draw at this desk. It feels like her own, and I think that is important for her at this age. 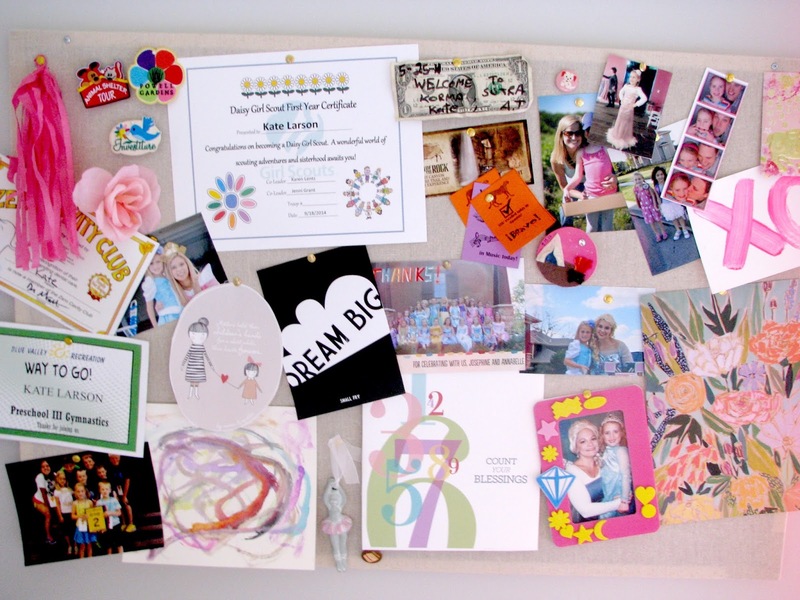 We also moved my old pinboard to her room, which I feel is a must in any child's room. 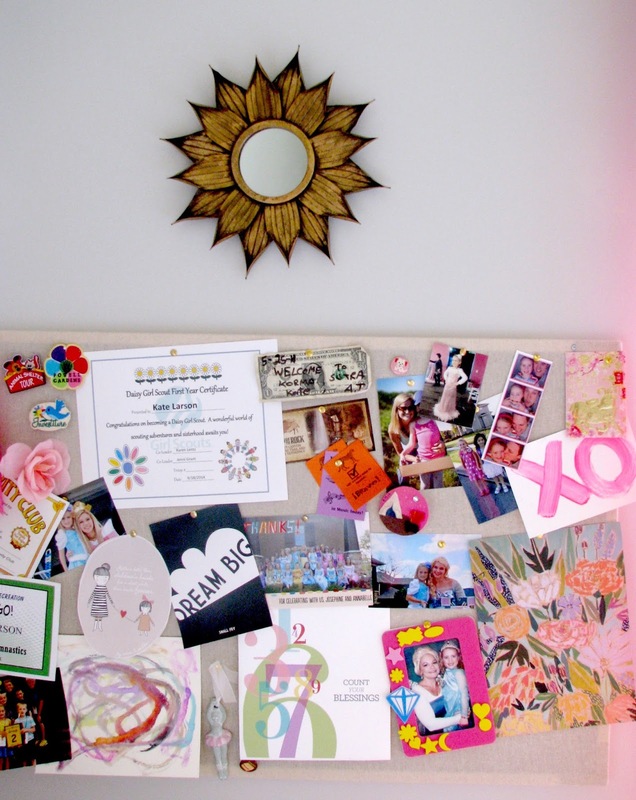 When in doubt where something goes, stick it on the pinboard! Kate has high ceilings and a lot of natural light pours in here during the day. We just need to hang her gallery wall above her bed and this room will be done (for now anyway)! Gold Happiness Cat: Singapore souvenir! 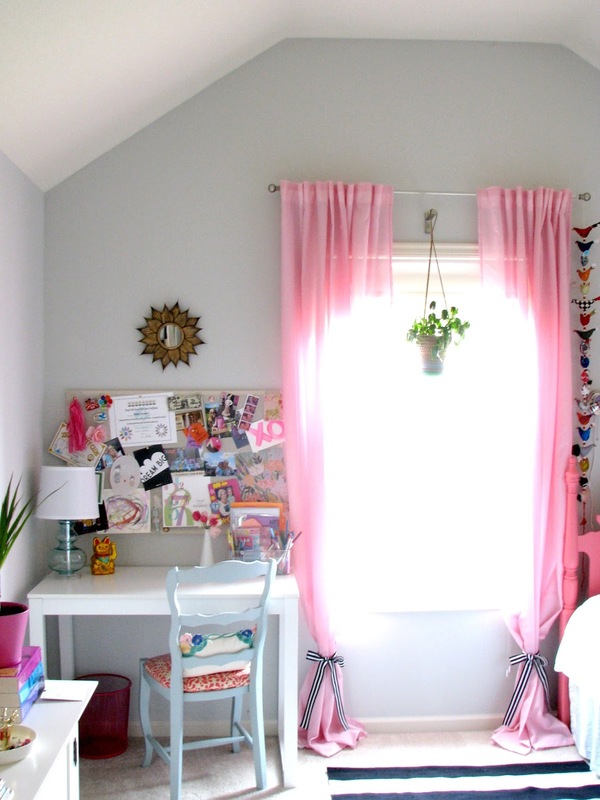 This is perfect for a little girls room... a place to hang all her stuff! Love the plant hanging in the window! Have a great weekend, Andrea!